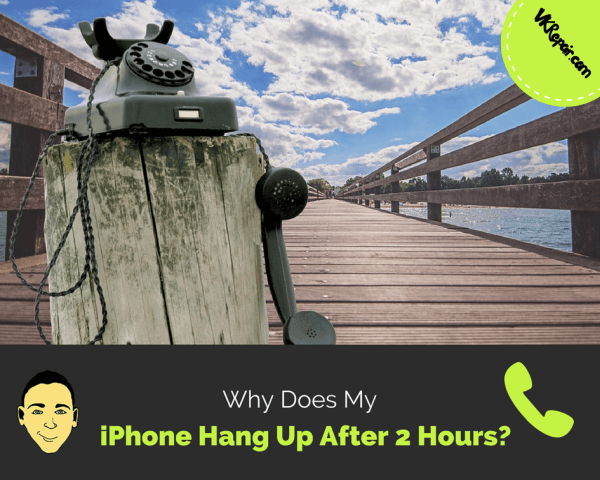 Why Does My iPhone Hang Up After 2 Hours? We rely on our iPhones for just about everything. Whether we’re just using it contact friends or family, or we’re using our iPhone for work, there is no question that we’ve become extremely dependent on these versatile, powerful devices. 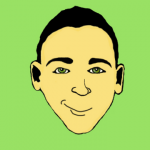 However, when a piece of technology is as complex as an iPhone, problems are bound to arise. It may not always mean that the iPhone is broken, when it isn’t functioning properly. The iPhone’s operating system has many different settings that can sometimes get turned on or off without the user’s knowledge. One common issue many people experience with the iPhone is dropped calls. In many cases the iPhone will appear to hang up during longer calls. Specifically, many people have reported their iPhone hanging up automatically after 2 hours of talking or more. In some cases, users have been able to make calls for up to 4 hours before their calls get dropped. Whether your call gets dropped after 2 hours or after 4 hours, it can be a serious issue. Those that may be using their iPhone for conference calls or those who may be in the middle of important conversations with loved ones will find it extremely inconvenient, and may not always be aware of a solution. Luckily, there are a few ways to address this problem that just about anyone can try. You won’t have to do much except open your iPhone’s settings and make a few adjustments as long as there isn’t a hardware problem with the device. Assuming your phone isn’t broken or defective, you can likely solve your dropped call problem by adjusting your data settings. Configuring your LTE settings might solve the problem with your iPhone hanging up after 2 hours. This will ensure that your phone’s LTE capabilities will not be applied to calls but only to data usage in your apps. In many cases the iPhone will hang up on a call as a way of saving LTE data, but if you don’t allow the phone to use LTE date for calls, it will no longer have to do this. Change your LTE setting from “Data & Voice” to “Data Only”. Once in the General Settings menu, scroll all the way to the bottom and tap the button that says Reset. Then tap the button that says Reset Network Settings. You will then be asked to enter your passcode if you have one. Enter it, and then you will be prompted to finalize the reset. Tap Reset Network Settings again. Your phone should begin to reboot, and your network settings should be completely reset. It’s unlikely, but you may be in an area with a weak signal, or your iPhone may not be searching for the best connection available. There are two options you can try to ensure that your connection to your wireless carrier is the best in the immediate vicinity. The first thing you can do is open the quick access menu on your iPhone. 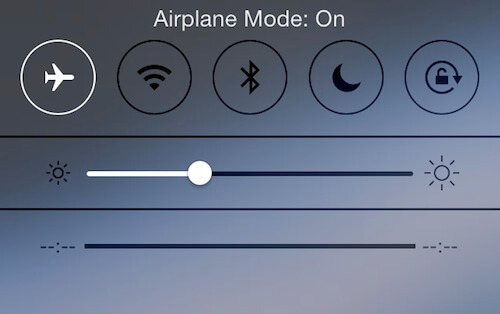 Tap the airplane icon to put the phone in Airplane Mode. This will temporarily disconnect it from any cellular networks. Wait ten seconds, and then tap the airplane icon again. Your iPhone will then reconnect to the nearest cell tower for a stronger cellular connection. You can also power cycle the iPhone. Simply turn it off, wait about five to ten minutes, and then turn it back on again. Upon powering back on, the iPhone will again search for the nearest wireless connection. 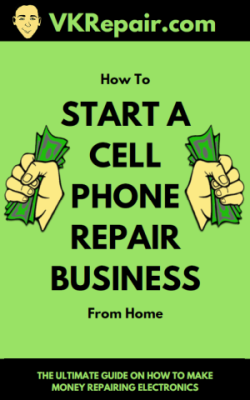 If none of the above methods seems to have fixed your dropped call problem and you’re sure there is no hardware issue with your iPhone, you may want to contact your wireless provider. There may be a restriction on your data plan that is preventing you from making calls that last longer than two hours. Your carrier may have put this restriction in place in order to prevent you from using more data than your monthly allowance, thus helping you avoid overages on your next bill. Another reason you may be experiencing dropped calls is that your wireless carrier may also have restrictions regarding how long you can keep a line open on your plan. Check in with them to see if these restrictions apply to you. Check out our article on fixing the iPhone losing service, at the bottom we have a list of all the carriers and their contact info! If you feel you need more data, most wireless carriers will allow you to purchase additional gigabytes or upgrade your plan. 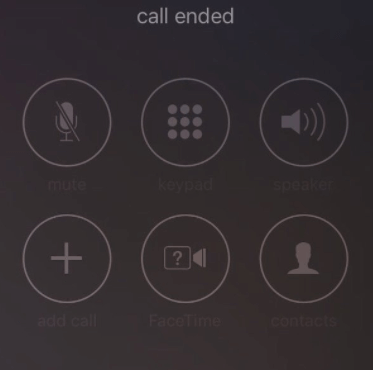 Regardless, a dropped call can be quite the annoyance for anyone who uses their phone for long periods of time. Whether it’s a matter of adjusting your settings or changing your data plan, fixing a dropped call issue should be a priority if you want to get the most out of your iPhone.